For most of my life, I fall asleep quickly and can sleep just about anywhere other than in economy class on a flight. but for the past few months, I’ve been using This Works Deep Sleep Pillow Spray, not so much to help me fall asleep, but more for it being a nice nighttime ritual and the scent is soothing. This Works has just launched Morning Expert, a collection of products designed to target morning skin concerns to help you wake-up well and restore morning glow. And this is definitely something I can use; I am not a morning person, and I keep late hours so mornings are rough. As I’ve only been using the products about a week, I can’t yet speak to how beneficial they are, but based on their best-selling Deep Sleep Pillow Spray (one I know many of my friends who do have trouble with sleep swear by), I’m trusting they’re going to be staples for the morning regimen. Morning Expert Wake Up Drops, a 100% natural essential oil of rosemary, peppermint and lavender. You can use it in a diffuser, sprinkle some on a warm washcloth, or into your shower (not pictured as I haven’t gotten my hands on this one yet, but will have it in a few weeks). Morning Expert Open Eyes, with giant kelp and Persian silk tree extract, to help de-puff, detox and brighten eyes. Morning Expert Hyaluronic Serum, 2% HA complex and vitamin C to help hydrate, plump sleep creases and brighten skin. Morning Expert Vitamin C Power Mask, a five-minute balm with vitamin C and jojoba to invigorate and exfoliate with twice a week. Morning Expert Multi-Acid Pads, bamboo pads with azelaic acid, vitamin B3 and liquorice root, to perk up skin and help fight breakouts. Check out my Instagram post for this THIS WORKS giveaway and enter there (details are on the IG post). Get an additional entry by commenting on this blog post by sharing how many hours of sleep you typically get. This giveaway ends at 5 p.m. EST on Tuesday, March 19, 2019. It is open to Canadian residents. The winner will be chosen at random and announced on my Instagram Stories on Wednesday, March 20, 2019. The prize is awarded as is. I go through ups and downs when it comes to hydrating well. I drink plenty of water when I run, but am not so great about hydrating any other time (even when I’m doing “well” that just means a couple of glasses of water). But what I have found to really help me is to drink carbonated water. 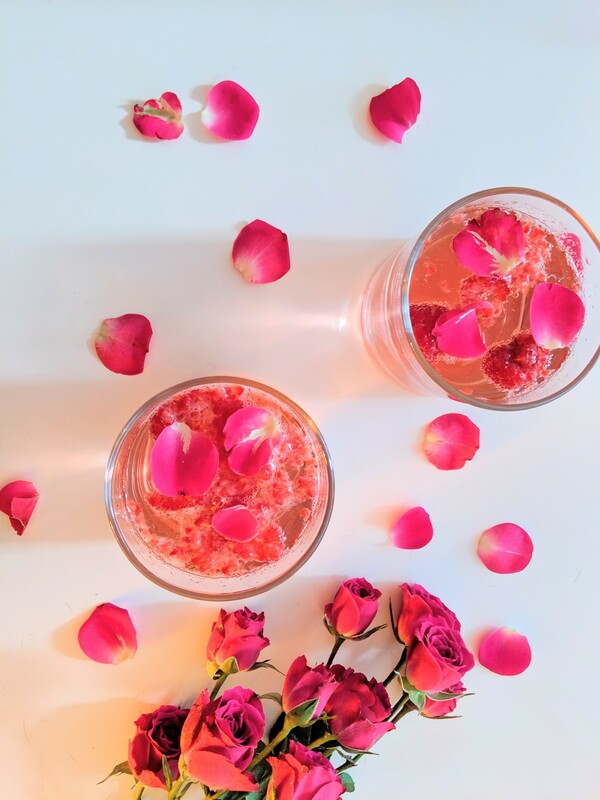 And while I’ve had a nutritionist tell me to drink plain water is better, for me, drinking any water is better than none and so if it being bubbly is what gets me to drink water, then that’s what it is! I have a Sodastream and love the convenience of it. It’s helped me drink soft drinks less often (I have them only as a treat when I’m out and stopped stocking pop at home years ago). If you recall, I partnered with Sodastream a couple of years ago. 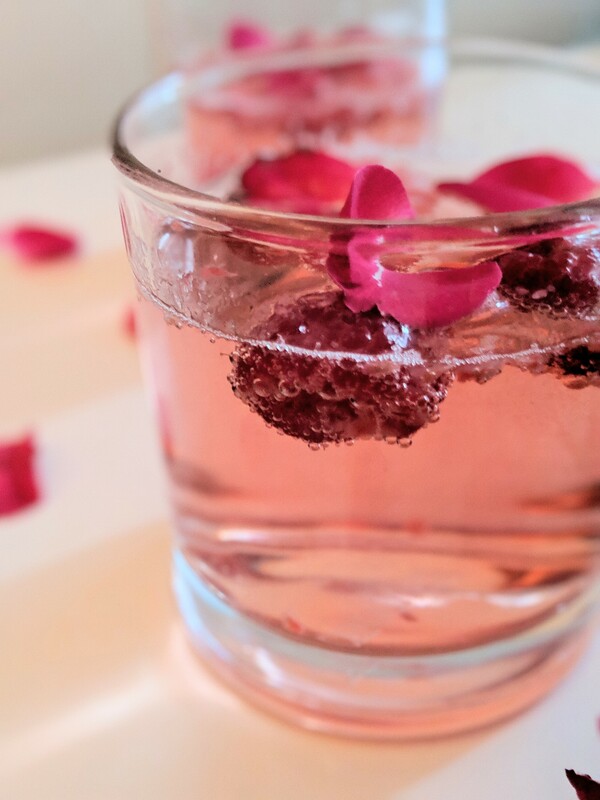 Besides helping me drink more water, I love the cocktails you can make with it, too, like this Raspberry Rosé Punch! 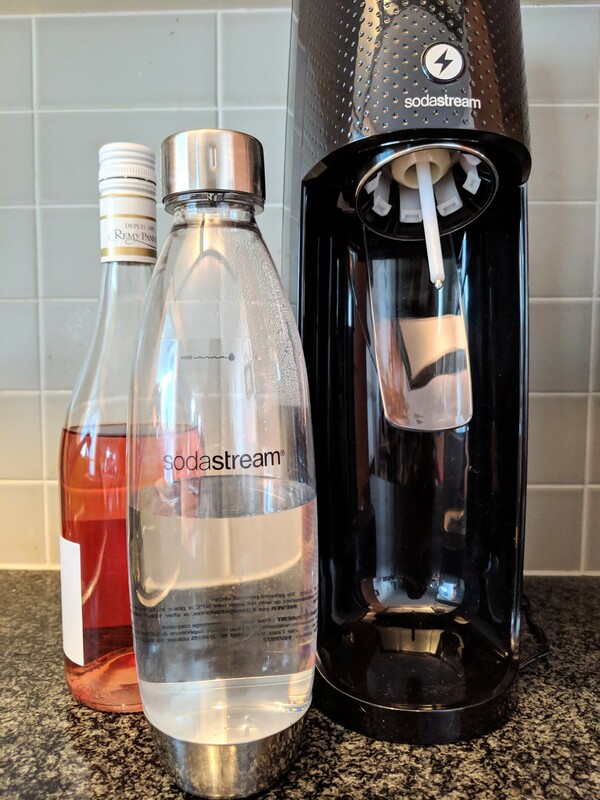 And continuing my giveaway bonanza, I’m giving away one Sodastream Fizzi One Touch! It’s valued at $179.99 and I hope it helps one lucky winner hydrate better! Check out my Instagram post of the Sodastream giveaway and enter there (details are on the IG post). But you can get an additional entry by commenting on this blog post by sharing how much water you currently drink. This giveaway ends at 5 p.m. EST on Sunday, March 10, 2019. It is open to Canadian residents. The winner will be chosen at random and announced on my Instagram Stories on Monday, March 11, 2019. The prize is awarded as is. Aaaand stay tuned for more giveaways! Beauty Swellness: Live Clean GIVEAWAY! And another one! Yes, another giveaway! I’m giving away a Live Clean prize package (approximate value $100). I’ve long been a fan of this brand (I blogged about their sulphate-free shampoos in 2011). 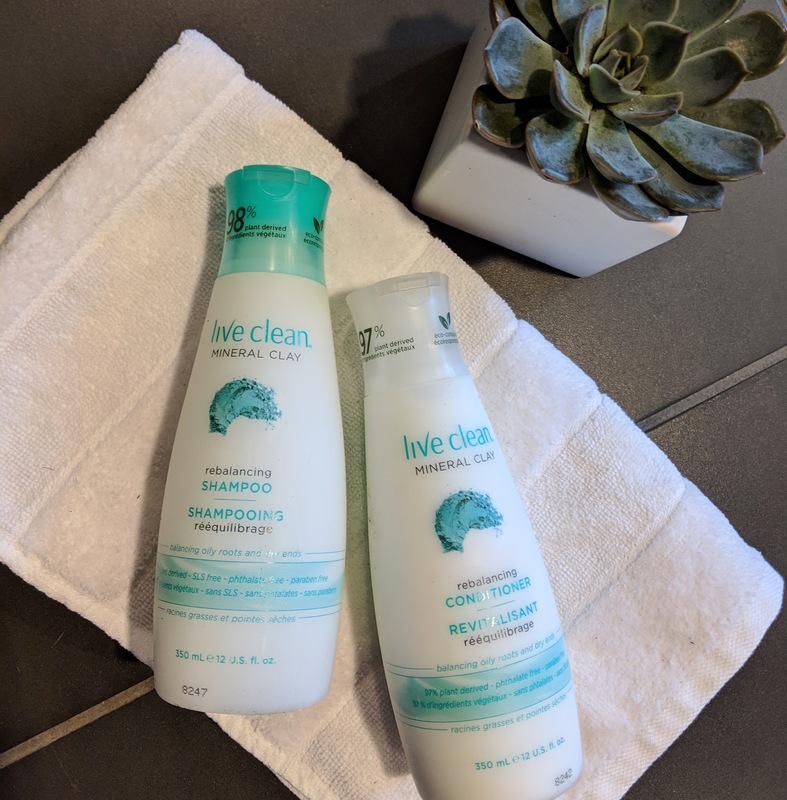 Although I don’t use only plant-based, chemical-free products, I have tried out many and Live Clean is one that I would happily use regularly (I’m always trying a lot of different products for work, but I always ask myself if this product is one I would buy regularly if I weren’t testing out different products and this one makes the cut). Live Clean is Canadian (oh Canada! ), and their products are ones you can trust to be effective but also eco-conscious and without any potentially harmful ingredients. Their shampoos are paraben-, SLS- and phthalate-free, for example, and their facial cleansing wipes are fantastic for travel. I haven’t tried all of their products so I’m excited to try out their SPF and their new Foaming Hand Washes. Oh, and the whole line is in pleasing packaging (a key consideration IMO when you have to have hand soap, for example, prominently displayed at your sink). So I’m excited to try more of their products, and you should be excited, too, because you could win $100-worth of Live Clean products. The prize includes so many great products, including a few products for babies (I bet I could use that Baby Wash on my fur baby, Billie Jean…). Check out my Instagram post of the Live Clean giveaway and enter there (details on the IG post). But you can get an additional entry by commenting on this blog post about which of the products listed above you’re most interested in trying out. This giveaway ends at 5 p.m. EST on Sunday, February 24, 2019. It is open to Canadian residents. The winner will be chosen at random and announced on my Instagram Stories on Monday, February 25, 2019. The prize is awarded as is.